Confederate prisoner Lee Travis (Howard Keel) is pardoned by the Union and sent to Arizona, tasked with bringing law & order to a frontier town called Colton, which has gone wild. But the town of Colton is in the hands of Saloon owner Scott Brady who has his hands in all sorts of graft - and he has no intention of letting a new lawman interfere with his plans! Making matters worse, Travis' deputy (John Ireland) lost the use of one of his arms in the war and is now bitter towards all Confederates. 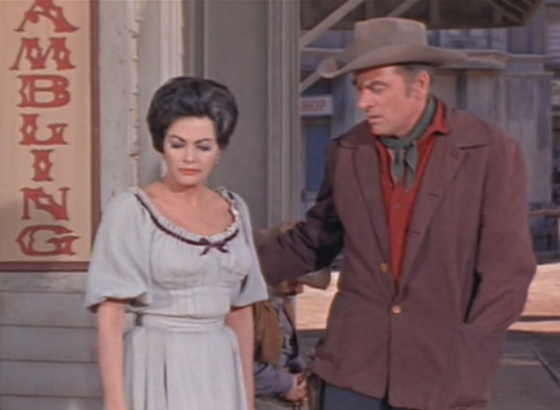 Although Travis does work toe lay down the law, he is actually on a secret mission for the Confederacy and makes contact with fellow Confederate spy, Yvonne De Carlo - they are planning on running guns to Southern forces. But the situation quickly turns dire when they uncover that Brady has been selling guns to the Apache who now plan to raid the town! 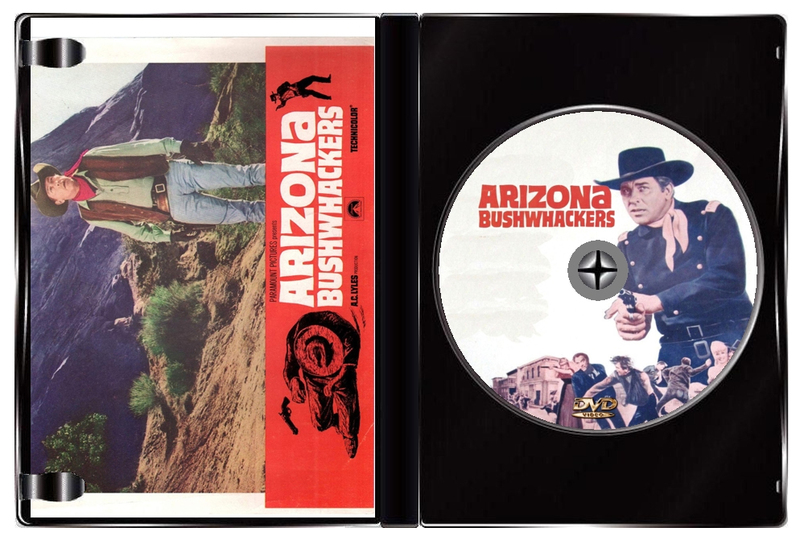 1967's "Arizona Bushwhackers" was #12 of the 13 A.C.Lyles "Geezer Westerns" released between 1963-67. 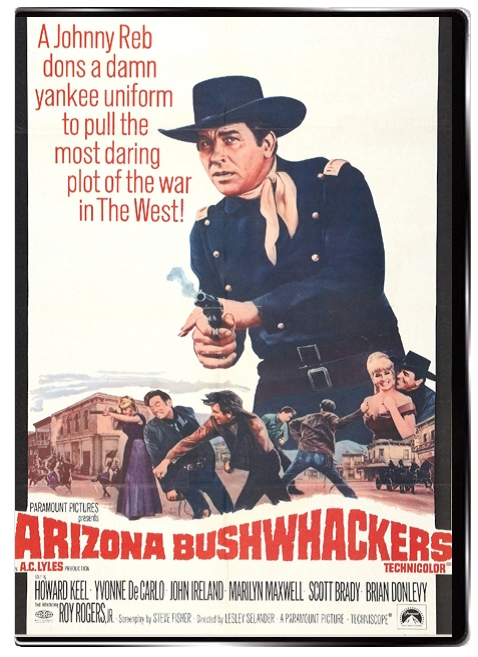 Lyles created a niche for himself making these lower-budget westerns that all featured folks who had once been stars. Although well past their peak, these folks made some decent films. Few were standouts but most were entertaining and offered a last chance to see film favorites. In this case, the three main stars are actually a bit younger than the typical Lyles film of the day, with Howard Keel (49), Yvonne DeCarlo (46) and John Ireland (53). 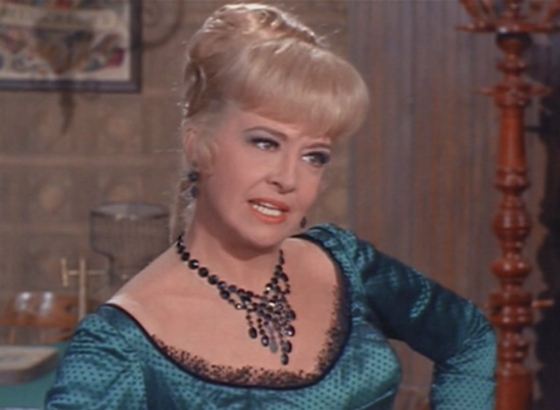 In supporting roles are Brian Donlevy (67), Marilyn Maxwell (48), Barton MacLane (66). 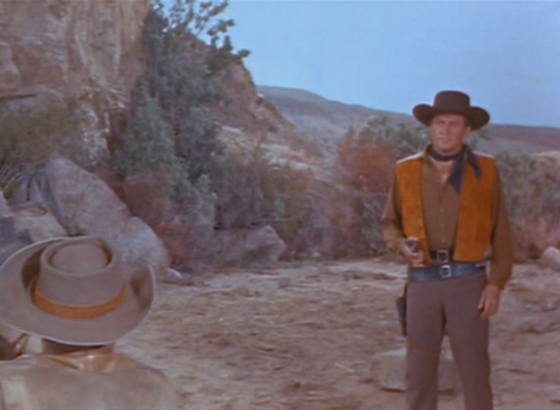 The ubiquitous Reg Parton shows up for his 10th Lyles oater, twice trying to murder the sheriff, unsuccessfully. 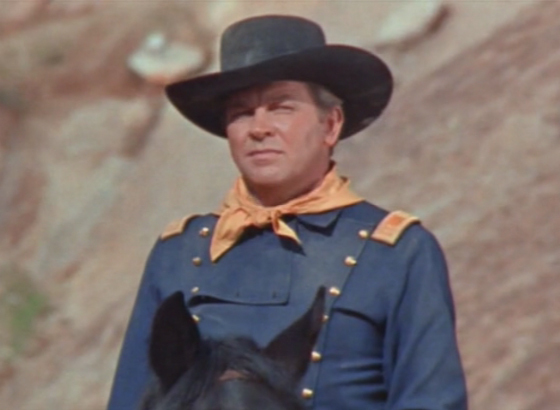 We also have the only feature film role of Roy Rogers Jr., who gets a nice closeup in his lone scene, then disappears from the picture, never to be seen again. Also, the opening narration is dramatically delivered by the unmistakable voice of James Cagney, his only screen work between "One, Two, Three" in 1961, and "Ragtime" in 1981.